These chocolate peppermint candies fat bombs are great at curbing hunger without increasing carbs. Today’s recipe is super simple. 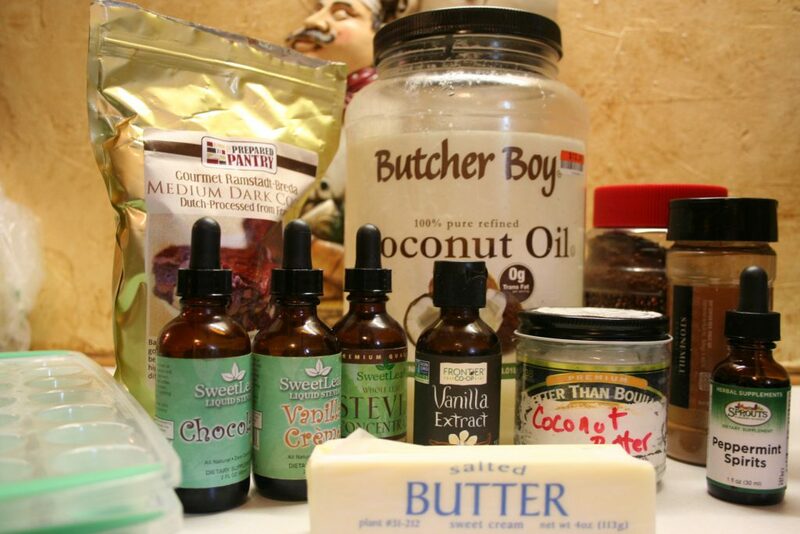 It may look like a lot of ingredients but it really isn’t. No, don’t go away! Three of those bottles is just because I have them; they are totally unnecessary! My coconut oil is refined because we do not care for the unrefined coconutty taste and it sits on my counter and it has been warm, so it is pretty soft. 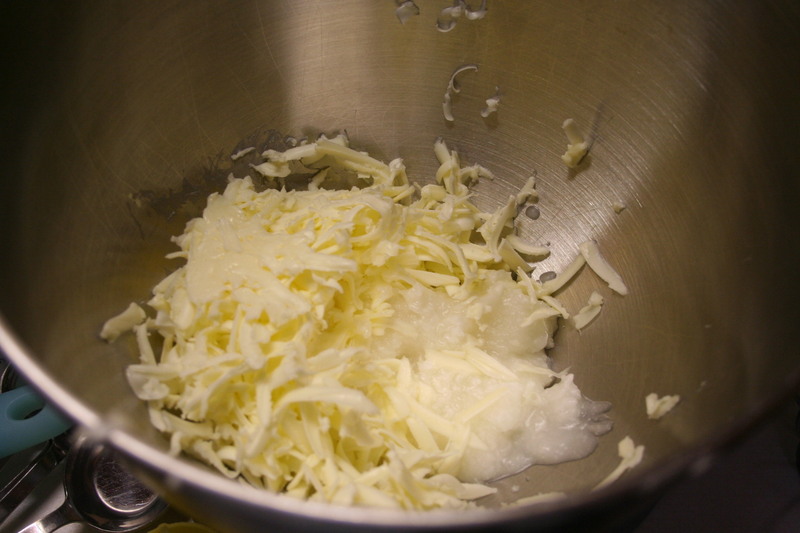 The butter on the other hand is fresh out of the refrigerator, so I grated it to make it easier to combine. 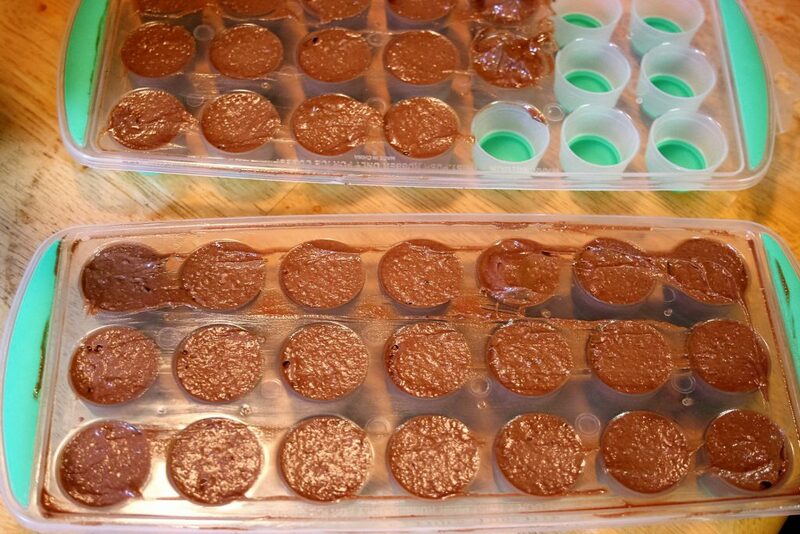 Next add cocoa powder, three drops of peppermint spirits, a tiny bit of cinnamon, and a tiny bit of instant coffee–Michael says this one I bought is gross when drunk, so I’ll be able to make oodles of these fat bombs before I run out of it. I added the rest of the ingredients and then thought I had done something wrong and forgot to take a picture before blending, so there is no picture here. But this is what it looks like once it is all whipped together. At this point you could put it all into a glass dish and pop it into the refrigerator until it sets or in the freezer if you are impatient. But I prefer to put it in these little ice cube trays I found at dollar tree. I think they are a great size. I have ordered some really cute smiley face candy molds. I’m eager for them to arrive but alas, I must have patience for my $2 purchase will take several weeks to get here. Oh! I just scooped the fluff out onto the tray and spread it across with a spatula and continued doing so until all the holes were filled. 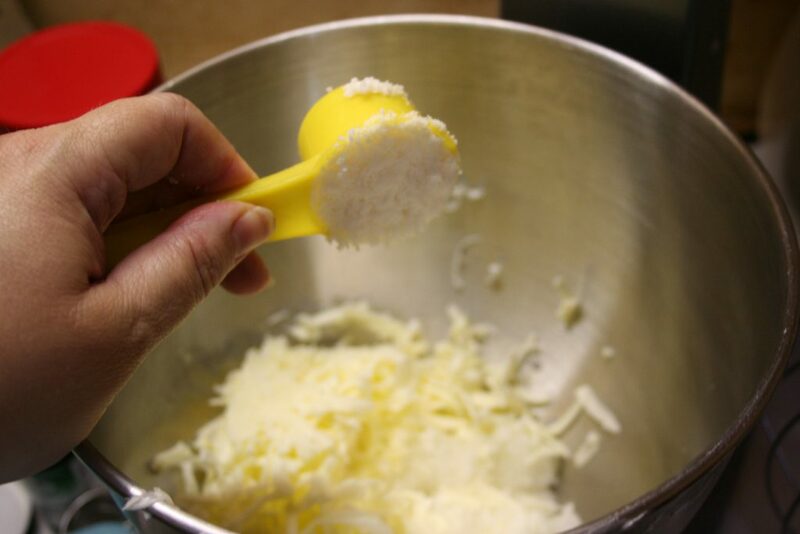 Then I used the spatula to level it all off and clean it up a bit. You can see on the second tray where it isn’t as level because it was the last bits. You can also melt the butter and the oil together and use a hand blender to emulsify it all together, then just pour it into the cups or dish. I think it sets up a bit harder if it is melted first, but I’ll have to wait until later to decide for sure. Now, I can almost hear some of you asking why on earth you’d want to eat a fat bomb. Well, when you are on a ketogenic diet, the object is to get your body to burn fat for fuel instead of glucose. If you a lot of carbs or a lot of protein, your body will produce glucose and will burn that first, because it is easier to burn. So if you are hungry but have already eaten as much protein and carbs as you should, then fat bombs are to the rescue. It also helps that they are a sweet treat as well. If you are cold, you probably need to stoke that fat furnace as well, to get it going. As far as sugar free sweet treats go, these are the bomb. 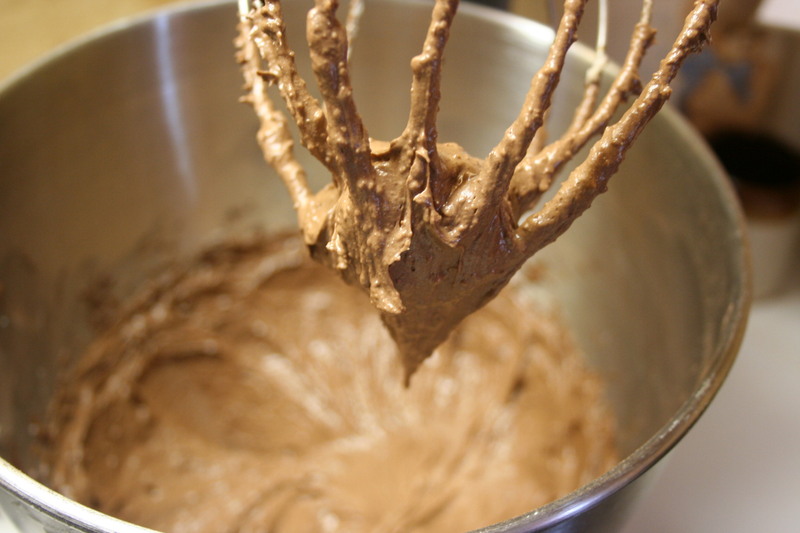 Place all ingredients in mixing bowl combine thoroughly with either a hand blender or a mixer. 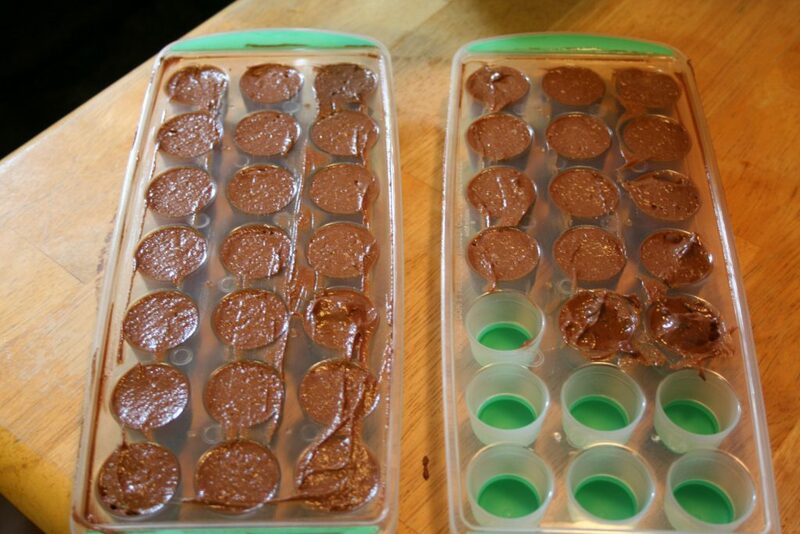 Fill candy molds, mini ice cube trays, or other rimmed container and chill or freeze until solid. How much cocoa? I see it in the pic of ingredients and then listed as add cocoa, but don’t see on ingredient list. These look good. Thanks Gin. I missed it in the ingredients and have just added it in. 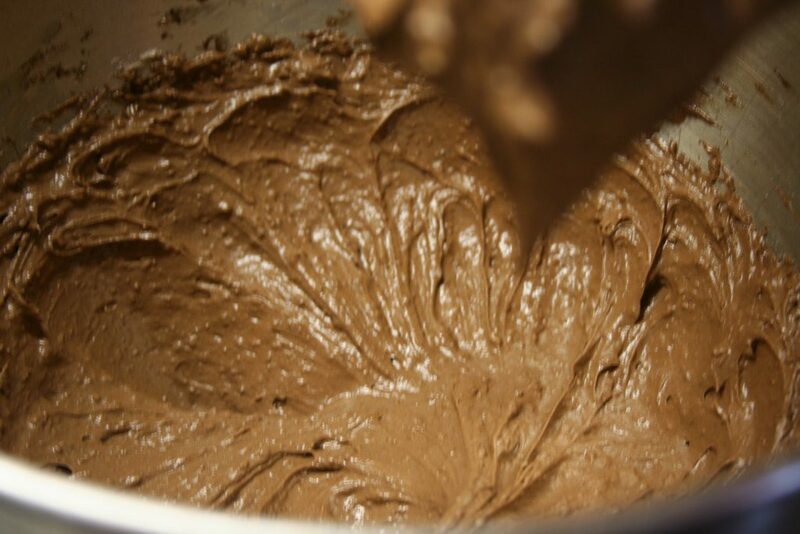 3 tablespoons of cocoa powder is needed. Hope you enjoy them.